With the power of having thousands of shoes readily available at her beck and call, it’s quite rare to see a Kardashian play favorites especially when outfit reports and countless paparazzi photos are involved. As one of the very public Kardashian women with seemingly disposable expensive footwear, Kourtney Kardashian has expressed her loyalty to her Belle by Sigerson Morrison gladiator sandals, wearing them out in public almost a year ago shortly before giving birth to her third child, Reign. Just the other day, the 36-year-old sported them once again while taking her daughter Penelope to ballet class. 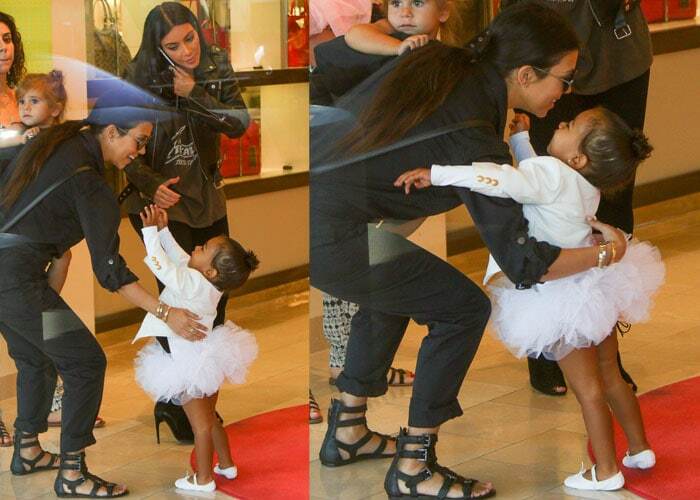 Kourtney was spotted with her sister, Kim, who brought her daughter North to class. Kourtney opted to slip her post-baby body into dark blue overalls, which she rolled up at the ankles to show off her Belle by Sigerson Morrison “Bianca” sandals. The mom-of-three put her hair in a sleek, middle-parted low ponytail and slipped on a pair of round sunglasses. Kourtney slung a black, structured shoulder bag across her body as she proceeded to carry the adorable Penelope into the dance studio. 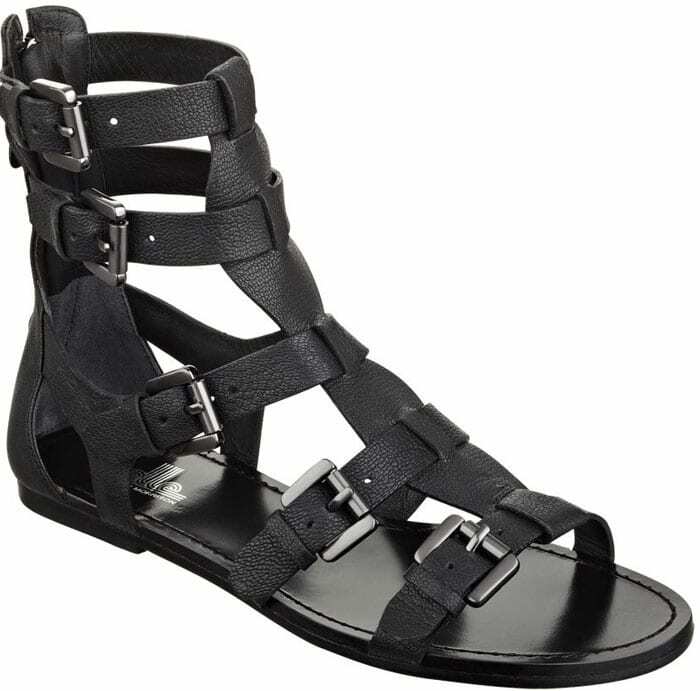 Gladiator sandals are coming back as strong trend for the summer, so if you want your hands on the specific pair, the Bianca sandals are still available on the Belle by Sigerson Morrison website.